Nicholas P. Schmidbauer is a partner and the Chair of the Consumer Product sub-group of the firm's Intellectual Property practice group. Having more than fifteen years of experience as an attorney, Nicholas's practice focuses on all aspects of litigation, counseling, and intellectual property procurement and enforcement. Although he has practiced as a patent attorney throughout his career, Nicholas counsels clients to achieve their business and litigation objectives, regardless of whether those objectives involve intellectual property. To that end, his clients regularly turn to him for day-to-day strategy counseling as well as for unanticipated emergency situations. Nicholas ensures that every client he counsels is in an optimal situation, regardless of their position in the market or business objectives. Nicholas regularly counsels his clients, which range from domestically-based startups to foreign publicly traded companies, on all aspects of procuring, clearing, and asserting patent and trademark rights in both the United States and international forums. Nicholas draws from his extensive knowledge of utility and design prosecution at the United States Patent & Trademark Office to help guide clients to acquire an ideal level of utilitarian and design-based protection. 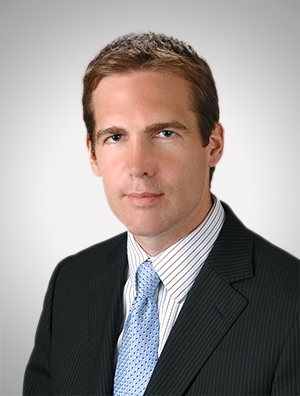 Nicholas is also highly knowledgeable of the process for obtaining utility and design patent rights in other countries, having assisted with the prosecution of patent applications in over 100 countries globally. His knowledge of the practice and procedure of filing for and obtaining patent rights in all of the top commercially significant nations is beneficial for clients seeking broad-ranging protection. By continually maintaining awareness of updates to both domestic and international patent law, Nicholas is plugged-in to sometimes rapidly-changing prosecution strategies and pitfalls in jurisdictions around the world. Nicholas advises clients in nearly every technology space, so he is able to pull from a wide-range of knowledge and experience counseling clients in a number of industries. A sample of clients that Nicholas regular advises include those producing and/or selling autonomous driving systems, cell phone equipment and software, fluid dispensing systems, aerosol and non-aerosol containers, packaging, various insect control technologies, cosmetic implements, apparel, surgical instruments, zippered bags, electronic ordering systems, fasteners for use in the construction industry, aircraft technology, automotive technology, various active and passive fragrancing technologies, and sporting equipment. Nicholas is also very active with bar associations focused on industrial design and trademark rights. By remaining involved in the design community, Nicholas is able to stay on the front line of changes to the practice, and to ensure that his clients are unceasingly in a premier business and intellectual property position.